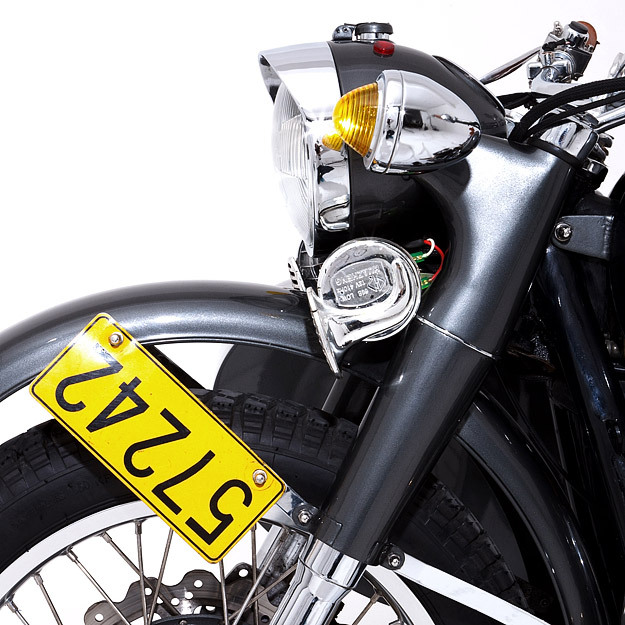 There are quite a few motorcycle manufacturers with murky histories, but few are as clouded by the passage of time as Chang Jiang. 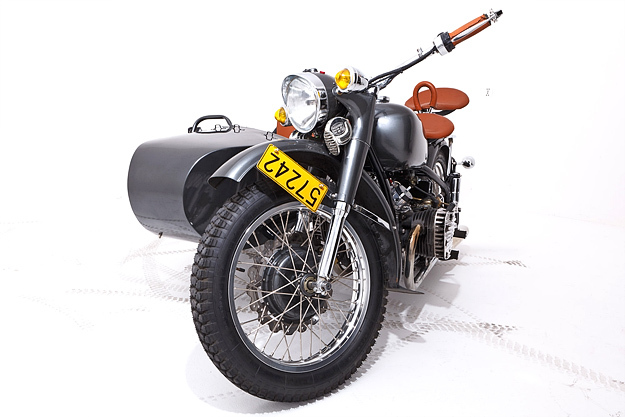 The lineage of this bike can be traced back to the 1938 BMW R71, which was copied by the Soviets and released in 1942 as the IMZ M72. Come the mid-50s, the Soviets sold the tooling for the M72 to China, and a few years later the Chang Jiang 750 appeared. 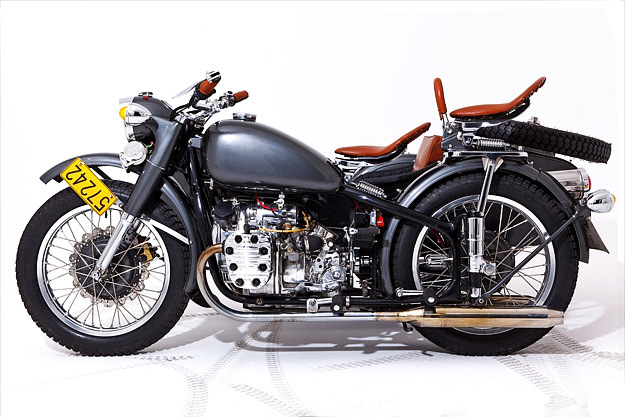 The motor is an air-cooled 746cc boxer—in true BMW style—and this particular bike belongs to a motorcycle tour operation called Shanghai Sideways, run by Thomas Chabrieres. According to the website, “Shanghai has the biggest number of Art Deco buildings in the world; what better way to visit this gigantic museum than in a 1930s sidecar motorbike?” Quite. This Chang Jiang appears to be an M1M model, which means it’s gained luxuries such as a 12V electrical system and an electric starter. “The electric start works one day out of two,” says Thomas, “and the reverse gear badly damages the gear box.” Still, the experience of scooting around China’s largest city in a 1930s vintage motorcycle is a good one: Thomas’ operation is recommended by travel guides such as Lonely Planet, Routard and Luxe. 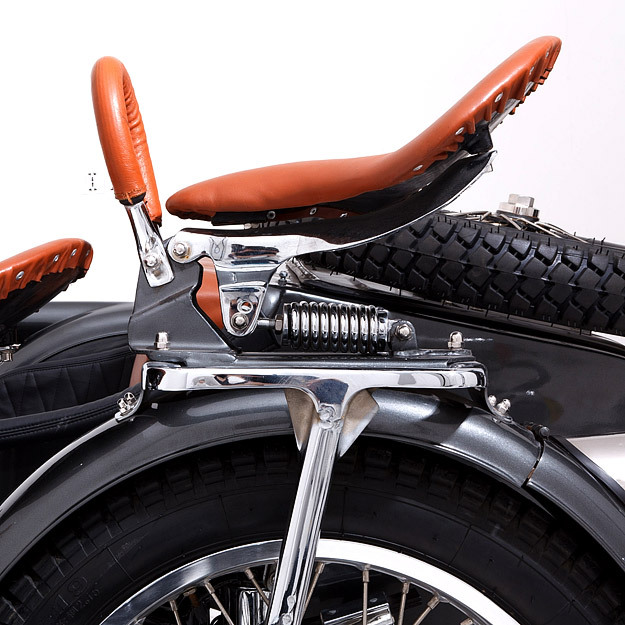 Unfortunately, the Chang Jiang is no longer made: production finished when China opened its market to foreign motorcycle makers in the 1990s. 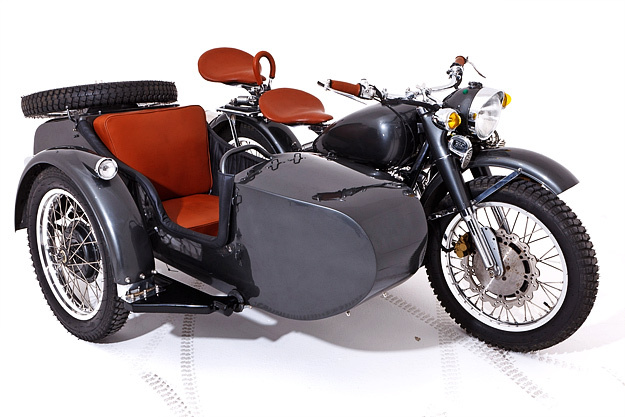 If you want to replicate the authentic vintage motorcycle experience yourself, the closest you can get is the Ural—a thoroughly modernized version of the same IMZ M72 that spawned the Chang Jiang. Images by Number 6 Factory.